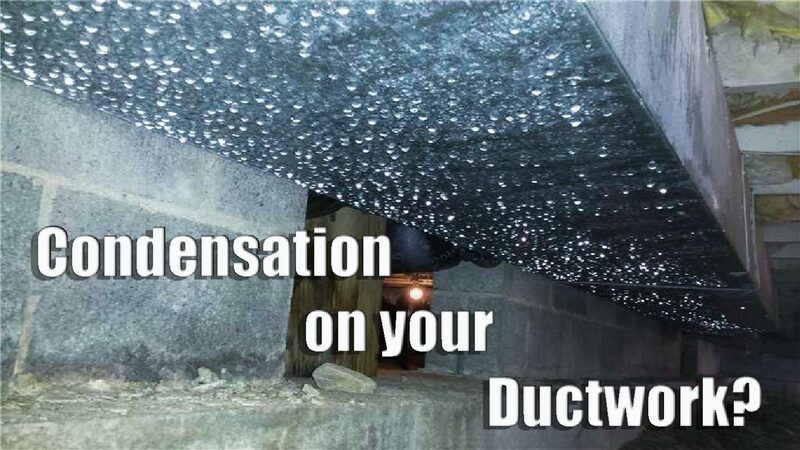 Is There Condensation on Your Ductwork? A ductwork system is the backbone of a home heating and cooling system, carrying the heated and cooled air from a central unit to the living spaces of the home. Out of sight, home ductwork is often forgotten by many homeowners. Why Does Condensation Form on Ductwork? Air can only hold a certain amount of water – the warmer the air is the more it can hold. When warm air comes in contact with a cool object water vapor in the air is changed into liquid water. It’s the same reason why your mirror ‘sweats’. The water in the air, a gas known as water vapor, from your hot shower is cooled when it meets the surface of the cold mirror. The same happens when your cool ductwork comes in contact with the hot, humid summer air, because your air conditioning ductwork is much cooler than the ambient temperature in the attic or crawlspace. Especially in the southeast region known for its humidity (even more so after a storm with a lot of rain like Florence). In addition to condensation forming on your ductwork, check your air handlers and furnaces as well. It is normal for moist crawl spaces and poorly ventilated attics to cause condensation to form on your ductwork. Eliminating the opportunity for humid air to meet your cool ductwork will eradicate condensation and sweaty ducts. Excess moisture builds up in hot air especially in the stagnant attic or crawlspace air of your home. To ensure the air around your ductwork stays at low humidity levels install a dehumidifier in your attic or have your crawlspace sealed with a dehumidifier. A dehumidifier keeps the moisture in your home at healthy levels year-round. Eliminating condensation on plumbing and ductwork and improving indoor air quality, which is particularly helpful if your ductwork is in your attic or crawl space. When the temperature outside reaches just 80 degrees, the temperature inside your attic could soar to a stifling 150 degrees. While attic vents do allow for some passive cooling, attic fans are much better at circulating the air and removing excess heat. 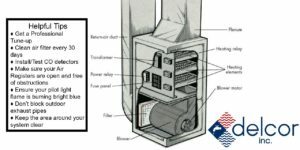 If you run an attic fan during the hottest hours of the day, the temperature in your attic will drop by as much as 50 degrees. 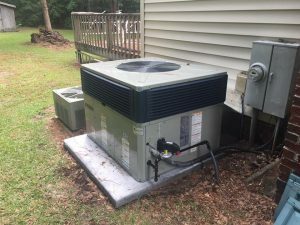 This helps keep the rest of your home about 10 degrees cooler, so your air conditioner doesn’t have to work as hard to keep your home cool. Using an attic fan can reduce cooling costs by as much as 30%. Control the movement of airborne water vapor through the wall assembly with a vapor barrier. Water, even as a vapor, seeks out drier environments. Without a vapor barrier in place, moist air can move freely through insulation and will accumulate in the stagnant attic or crawlspace air. Often resulting in condensation build up on your ductwork, air handlers, and furnaces. Condensation on ductwork is a common problem here in the southeast. With the high humidity levels in the air it is inevitable, especially if the ductwork is located in the attic or crawlspace. Having a dehumidifier, attic fan or vapor barrier are the top three solutions to reducing condensation on your ductwork, air handlers, and furnaces. If you would like to know more about any of these solutions give our service professionals a call.